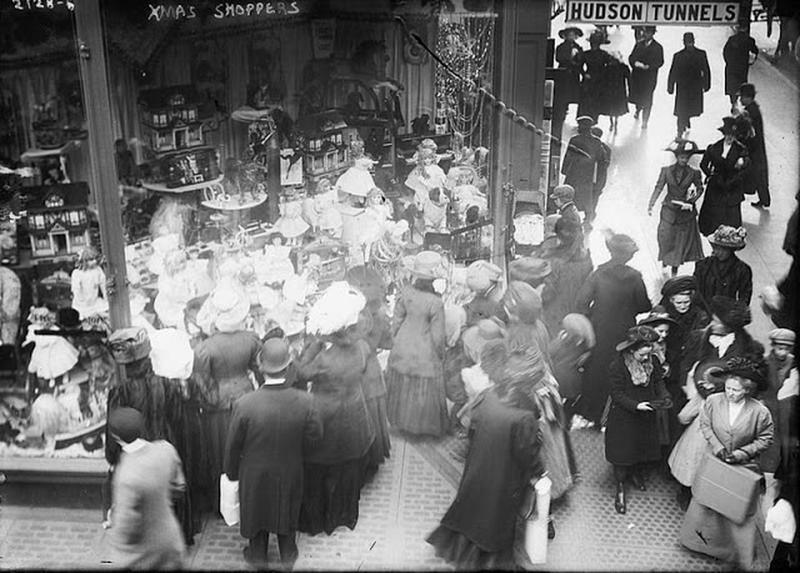 Each year department stores unveil their holiday window displays to admiring crowds. 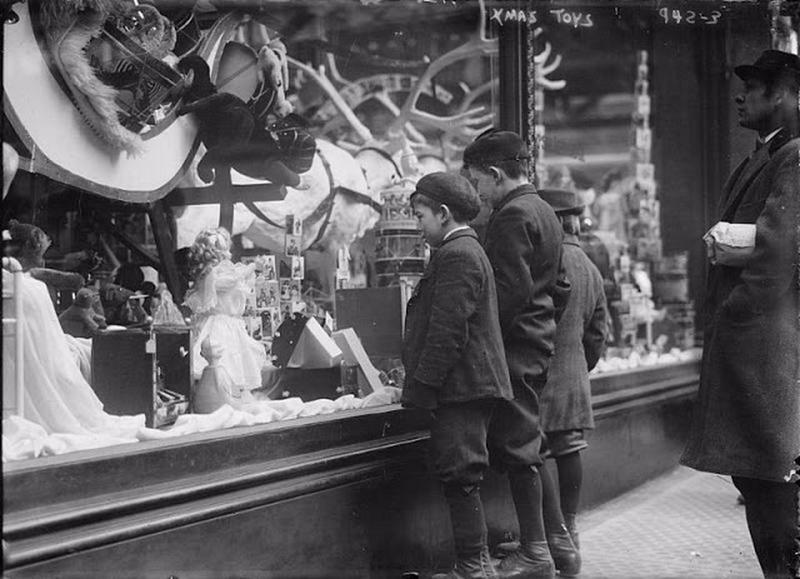 Festive windows have been a tradition in New York City since the 1870s; R.H. Macy, of the retailer Macy’s, is largely credited with having created one of the first Christmas window displays in 1874. 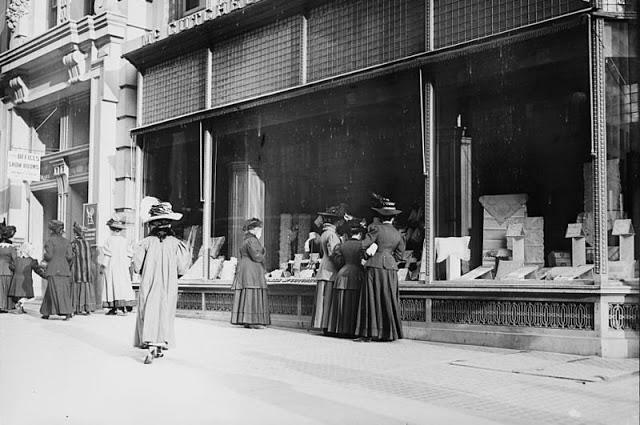 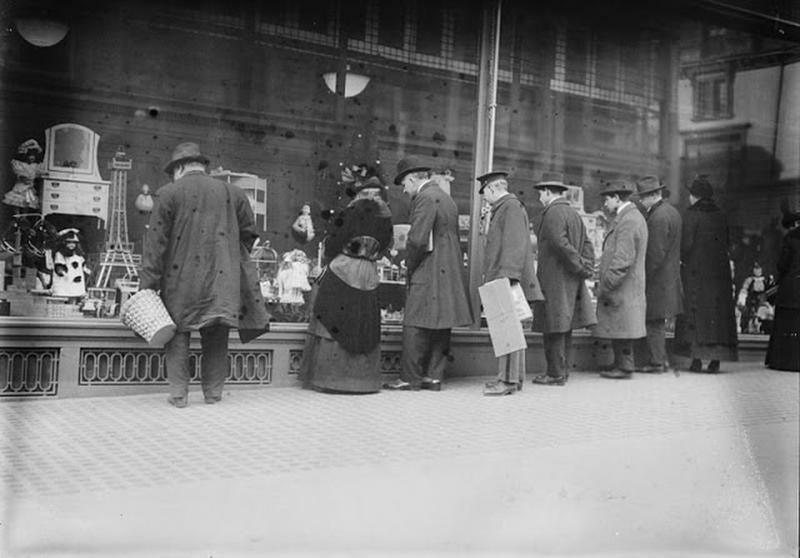 Today we look back to a time before online shopping, when browsing was done through a pane of glass. 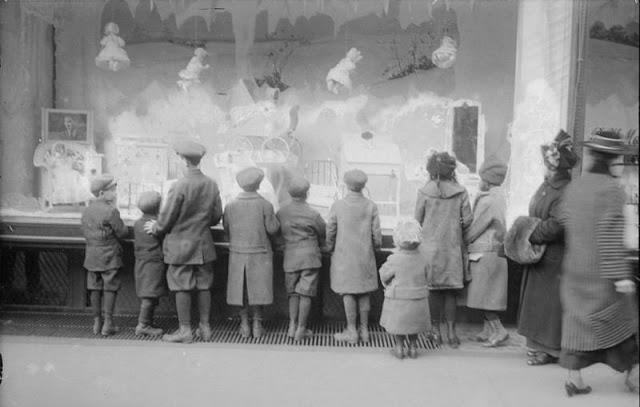 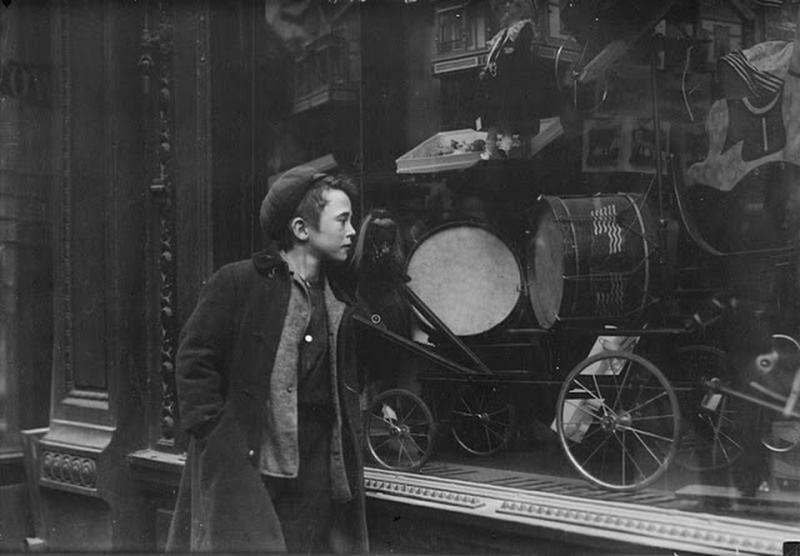 Delight in these vintage photos of people mesmerized by holiday windows from between the 1900s and 1910s.